Some of the biggest names in tech use AWS (Amazon Web Services) to power their cloud apps like Netflix, Expedia and Intel. When a bandwidth hungry service like Netflix uses a cloud service, startups tend to take notice. To help those startups better wrap their heads around the AWS service, Amazon has reopened its pop-up loft in San Francisco. This time the loft is sticking around for good. In June the company opened the space in the same spot on 925 Market street in San Francisco and it was a rousing success according to the company. It did so well, the online retailer turned web services company is opening the loft on a permanent basis. 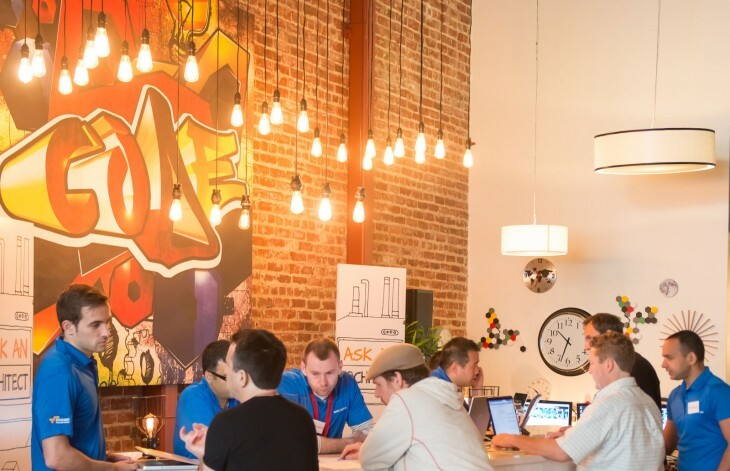 Open Monday through Friday from 10AM – 6PM, the loft is meant to give startups and really anyone that uses AWS a place to learn about the service in a face-to-face environment and to help cultivate a community of AWS customers that can learn from each other. In addition to being a meeting place for customers along with snacks, beer and an area where startups can work with quick access to AWS employees, the loft has a “Genius Bar” area called Ask an Architect. Customers, or would be customers, can make appointments or drop in and talk to an AWS expert about a problem or get guidance on how to implement something. “You get to have that human contact,” said Amazon’s head of Worldwide Marketing for AWS Ariel Kelman. He added that at its annual Reinvent conference, a temporary community of AWS customers, partners and employees formed and the company wanted to replicate that experience. That experience includes having presentations from partners (like Intel and Nasa’s JPL lab) and boot camp sessions at the loft. And while San Francisco and its plethora of startups hoping to cash in seems like a perfect fit, be on the look out for more Amazon AWS Lofts hitting other cities with thriving tech scenes in 2015.